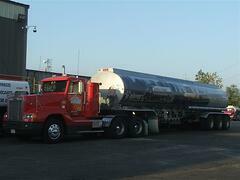 For several years, we have been offering free training for Firefighters on fuel trucks. 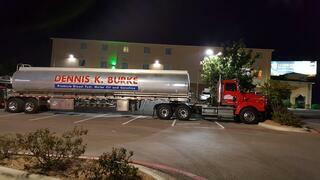 This has been a great way for them to see and get familiar with current setups and the technology involved in today's fuel trailers & straight trucks in a non-emergency situation. Usually the training involves a Safety Director and a veteran driver, who can talk about potential hazards, the day to day work of being safe with hazmat materials, and who can answer firefighter questions about different scenarios. The firefighters always end up asking questions that make us think about how we look at some day to day safety routines as well, I always say we learn just as much, if not more, from them. 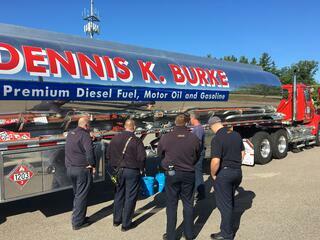 Matt Manoli, Dennis K Burke's Safety Director recently spent time with the fire department in Taunton, MA to teach tank truck fire safety - Here's the write up in the Taunton Gazette!